I did an hour Thai massage with Ruji. It was an awesome experience! I felt so much relaxed. It was worth my time traveling from Denver. You deserve 5*****. Thanks! Have seen many massage therapist in my travels over the years and I am really pleased to found someone so capable here in our new home of Boulder. By the end of the 2 hours session , any and all issues from head to toes were worked out skillfully using some very effective techniques I had not seen previously. High recommend. Having spent time in Thailand and had many Thai massage I can say this place is legit. I actually thought I was transported back in Thailand when I stepped in. The reflexology session was great and just what I needed before spending 10hr at a wedding in dress shoes. I would definitely recommend to any one. Jolina is amazing. I got my girlfriend a massage here last month and she hasn’t stopped talking about it. I finally got a 90-minute Thai massage for myself yesterday and have felt on top of the world since. The massage itself was both relaxing and energizing, easy but impactful. Picture massage + yoga, only she does the yoga for you – you just lay there and get stretched. This felt good for my mind and my body, and I’ll be going back. The price is a little higher than I normally like to pay for a massage, but it was totally worth it. Believe the 5 star ratings, this place is wonderful. I’ve been suffering from foot problems, mostly due to running, and Jolina really took the time to understand what was going on, and how to address it. She is knowledgeable, friendly, has a great demeanor, and very capable with her hands. The business is a little tricky to find so give yourself 5 extra minutes upon arriving. But certainly well worth it once inside. I’ll be back! Fantastic experience in my first visit here. Really enjoyed the treatmment as well as conversation. Really a great environment for healing and therapy. Solid. Jolina is an absolute pro. Highly recommend. Hi, it’s Joe. Your work yesterday improved me 100%. Thank you. Wow! Nong gave me seriously an amazing massage. I have a terrible back and have had many therapists left bewildered by the extent of my knots, but Nong patiently worked them out with the pressure of a small 18 wheeler truck (which is exactly what i need and want in those areas). She was very genuine and wanting to help me with my pain. Thank you! Wow!! What an amazing massage. I had the 90 minute Thai Massage, followed by a manicure and pedicure. After my massage, during my manicure and pedicure, I got the chance to get to know Jolina, the owner and masseuse. She is not only a talented healer and masseuse, but extremely kind and a wonderful person.  Formerly a nurse back in Thailand, she has adapted her healing abilities to massage, and you can feel that she is trying to heal you while she is working on you. The location is a bit hard to find at first, as the building is in the back of the office park. You enter the building through the stairs/elevator in the parking garage, so if you ride your bike, remember to ride right into the garage. Once you enter the building, you find that the inside is amazing! There is an beautifully manicured rock garden that runs down the center of the building. It has much natural light, and it is very calming. It puts you right in the mood for your massage. Her suite is located in the SW corner of the building. Jolina really listened to what my body was saying, and today (the day after my massage) my body feels so nice and relaxed. 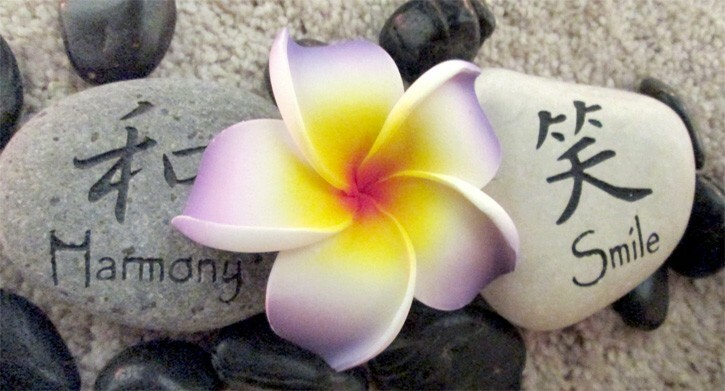 If you are looking for amazing thai massage, look no further, and go see Jolina! I’ve been thoroughly satisfied with Boulder Nuad Thai Massage & Spa. Jolina is right up there with the best! She takes time before we start to check in with me about what is going on with my body and my health. During the massage, she is 100% present during the entire session. Treat yourself and try ALL the services of this thoughtful, powerful therapist! From Yelp: I am so happy to be the first reviewer for Boulder Nuad Thai! I have been seeing Jolina for massage services since Fall 2013. I am a runner and frequently need massages for aches and pains associated with the impact form running and sought out reflexology services in Boulder. I was disappointed when I found that there weren’t many choices but was directed to Jolina and was seen that day. Jolina was very nice and I enjoyed a wonderful reflexology appointment. Jolina was very strong and also made me feel very comfortable. I returned many times for reflexology before seeing her for whole body massage services. I have now seen her for reflexology, herbal ball massage (which I highly recommend!) and oil massage. Jolina is very accommodating with her schedule, punctual and professional. If you are looking for a strong, kind and professional massage therapist, see Jolina – you will not be disappointed! Probably the best massage I could ever ask for after my long Ironman race. Can you imagine how sore I was? Jolina listened carefully to my requests and she worked on my whole body with an amazing sport massage. Her place is intimate, clean and perfectly decorated for relaxation. The location itself is in a little tricky and hard to find building. It’s behind Jiffy Lube (oil change) and a 4-story building called Sussex, but it’s totally worth to find. Also the parking is indoor in a private garage. (Free) My sport massage cost $110 for 90 minutes which is what you pay around in other places a lot less intimate and relaxing. I will be going back very often here cause its been hard for me to find a good post race massage and now I did. I was looking for a real Thai massage for a while. I’m so glad I found this one on Yelp. The owner was very nice and welcoming, but more importantly, her skills were excellent. I was so relaxed and will definitely come back! So if you are looking for someone professional and strong, I recommend Boulder Nuad Thai Spa! They won’t let you down. I had an amazing massage today – truly one of the best I have ever had! Thank you and I will be back! As an ultrarunner I had a depressing winter with a chronic ankle injury I could not heal. Jolina worked on my ankle one session per week for 3 months along with full foot reflexology work I continued for maintenance. Not only is the injury gone with her magic hands, but I learned how to take proper care of my feet to prevent further injuries. Thank you Jolina! Runners and athletes take note, Jolina will heal injuries, help you maintain peak performance, and teach you vital injury prevention tips to keep you on the trail. Secret gem of Boulder here. Running across rice terraces in Bali today would not be possible without your help Jolina! Thank you! If you are a happy customer of Boulder Nuad Thai Massage and Spa, please submit your own testimonial here!